Hello Guys, We are sharing we sharing information, images, wallpapers of Munna Michael movie actress Nidhi Agarwal. She is selected for female lead role in this movie opposite Tiger Shroff. She is going to debut Bollywood by this movie. This is an action romantic film directed Sabbir Khan and produced by Viki Rajani. The movie has scheduled to release in 2017. Nidhi Agarwal is a 23 year popular model and dancer. She is from Bangalore. She is trained dancer in ballet, Kathak and belly dancing. She is a business graduate. She is also a beauty pageant and former contestant of Miss Diva 2014. 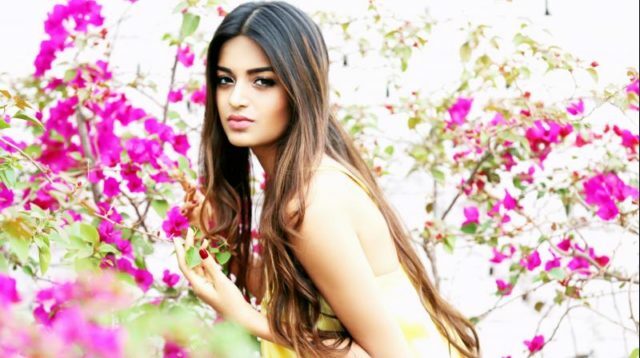 She has recently signed Sabbir Khan’s next, ‘Munna Michael’, opposite Tiger Shroff. She has already said a leading tabloid, I've always wanted to be an actress. She is also gorgeous and beautiful. Got everything going for her to make it big.